1000dpi Optical Resolution, 2000dpi Max. Capture your fragile documents and artwork with uncompromising image quality and professional standards with the Kurabo K-IS-A0FW flatbed color scanner. 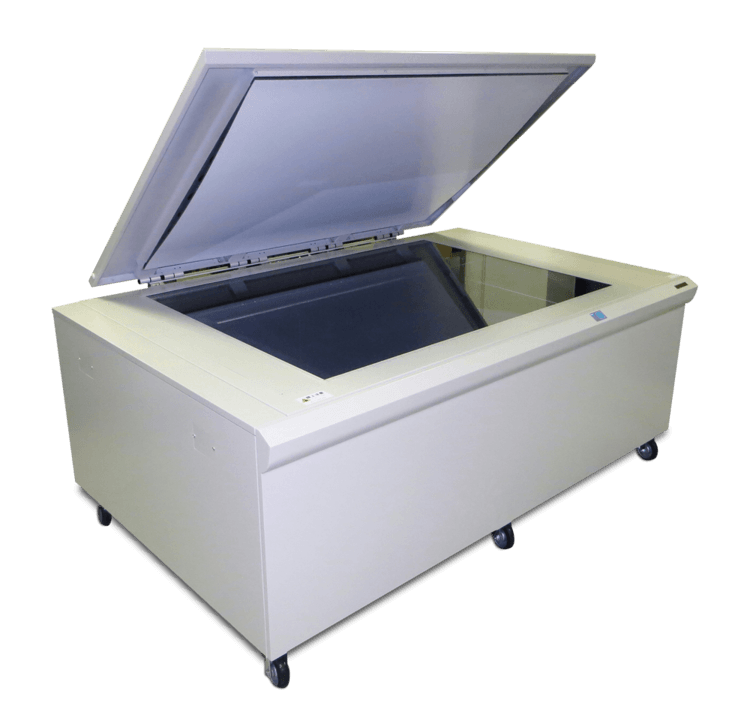 The Kurabo scanner features a 36″x50″ flatbed scanning area, giving you the flexibility to scan just about any type of original by simply placing it directly on the scanner bed. New Features! The new flatbed scanner is equipped with a Dual White LED system for forward and backward scanning directions. It can control light intensity individually, therefore the scanner can emphasize a shadow of textured images providing a 3D effect. An ARCH E size color document can be scanned in 17 seconds or less in 300 dpi/high-speed mode. Resolution is adjustable by 1 dpi increments within the range from 50 dpi to 2000 dpi. It also features advanced CCD sensor technology, ensuring picture-perfect imaging performance with an optical resolution of 1000 dpi, and can scan a 36″x50” size document within 17 seconds! 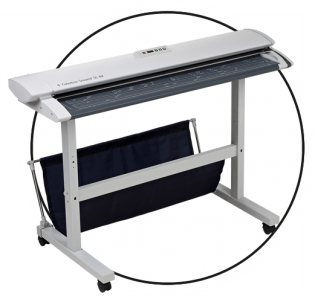 The Kurabo K-IS-A0FW is perfect for all your imaging needs, including textiles, fragile historical records, fine art and other delicate originals. The Kurabo scanner can capture a wide variety of documents and objects fast, accurately and efficiently. 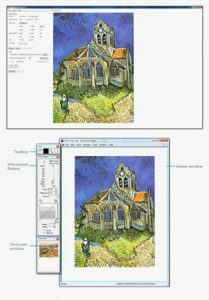 Aupier-Gigastitch is an optional professional image editing and stitching software that allows you to stitch and join multiple sections of scanned images such as large maps, drawings and aerial photographs, to create one image. A variety of robust editing tools are also available to make changes on scanned images using a simple and user friendly interface. Main functions include Color Adjustment, Increase/Decrease color, Size, Trimming, Deskew, Rotate, Mirror, Sharpening, Blur, Noise, Erase Outside, Stitching, Clipping Pass, Save joined images, Save One Image, Batch processing and Print. Aupier-Gigastitch is a comprehensive image editing tool designed for both casual and professional users. Aupier-Gigalay is an optional software that allows users to stitch multiple images together, featuring the capacity to handle extra large files that are over 10m long and 1GB in size, with advanced optimization for quick, high-speed and high-quality output to your large format printer. Advanced users can also combine raster and vector files to an existing image, enabling a powerful way to synthesize photographs, maps, drawings and vector data all in one document.